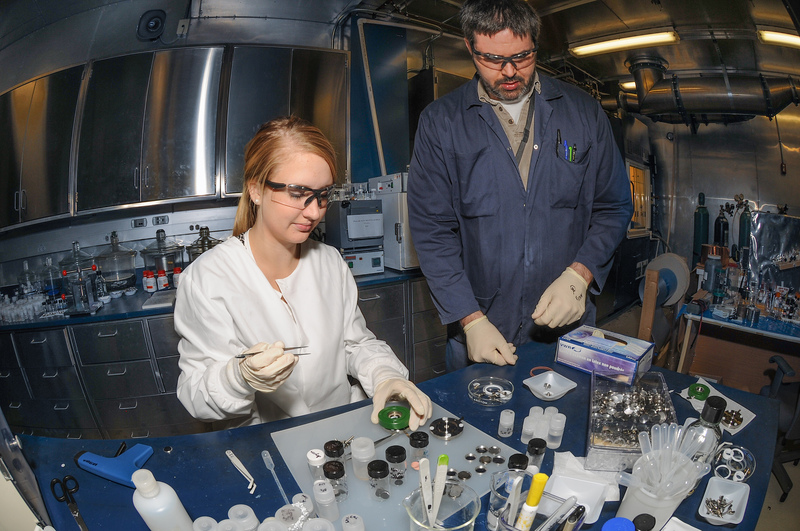 The US Army Research Laboratory is developing a new type of battery for the battlefield, with scientists testing different materials. Ideally, they want to create a battery that corrodes slower - if it all - and the rechargeable batteries have less charge/discharge cycles, while increasing stability during high-voltage scenarios. Over the next few months, the ARL team wants to begin evaluations of larger battery cells from commercial manufacturers, so they are able to analyze safety and performance. If approved, the ARL will have created new batteries that are lighter and can last longer during use in tough environments. "We help to develop new battery materials that are lighter and last longer for the Soldier, so he doesn't have to carry so many batteries," said Cynthia Lundgren, Chief of the Electrochemistry Branch of the Power and Energy Division in the Sensors and Electron Devices Directorate. "If we could raise the voltage of a single cell - energy density is a direct function of the voltage - we could make the battery lighter."